Five drivers are set to join the Virgin Australian Supercars Championship as SuperSprint wildcards this season, the Supercars Commission has confirmed. Extra entries for eligible Dunlop Super2 Series competitors have been entered at the Winton, Hidden Valley and Queensland Raceway SuperSprint events. 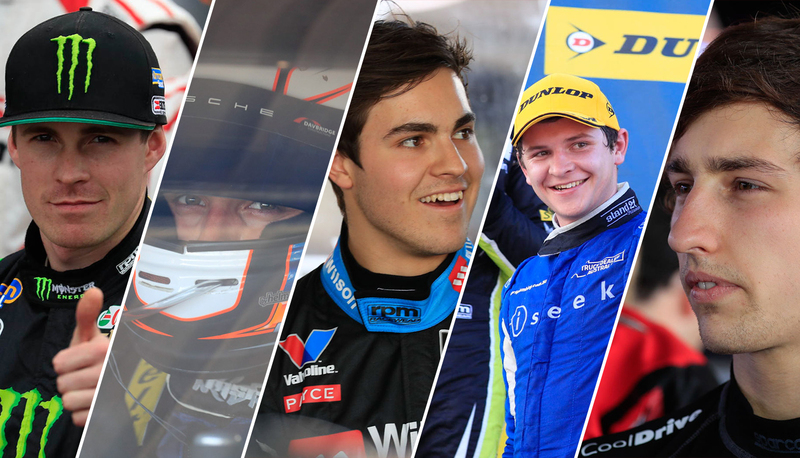 Current Super2 drivers Macauley Jones, Jack Le Brocq, Shae Davies and Todd Hazelwood will join the field while former Super2 full-timer and current Garry Rogers Motorsport enduro driver James Golding will also enter a two-race campaign. Under new rules for 2017, eligible Super2 competitors are able to enter up to two of four possible SuperSprint events. Entrants will also be allocated a test day ahead of the event with slight changes made between the Super2 and main series cars required as well as the opportunity to trial Dunlop’s 2017 tyre. Nissan Motorsport reserve and enduro driver Jack Le Brocq will form a two-car entry with current Super2 squad MW Motorsport alongside team-mate Shae Davies. Davies will make a return to the Virgin Australia Supercars Championship in sprint rounds after completing the end of 2016 with Erebus Motorsport. Davies will race at Winton and Le Brocq at Hidden Valley before the the pair are both on track at Queensland Raceway. “It’s great news that we have the chance to race with the main game at Darwin and Queensland Raceway,” said Le Brocq. 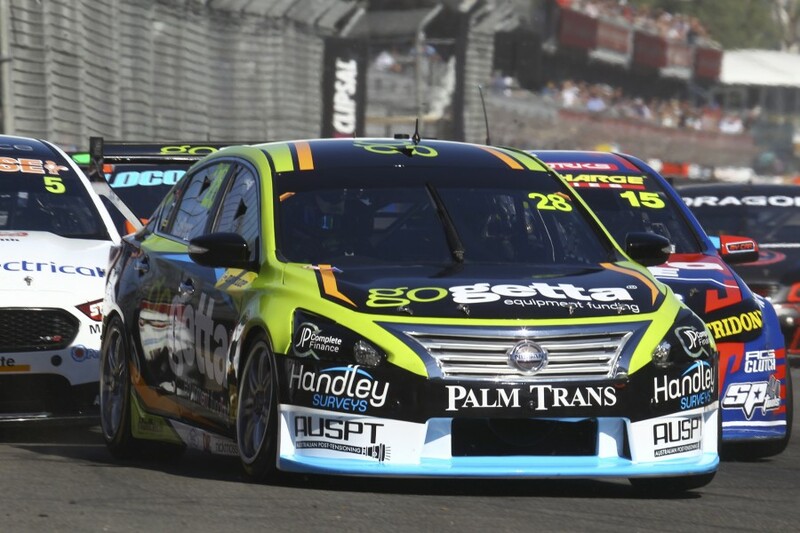 Team boss Matthew White explained the squad will work closely with Nissan Motorsport as the number of Altimas on the grid will swell to its highest ever levels. “Nissan Motorsport has been very supportive and have been a big help in making this program happen,” White told Supercars.com. “It puts a lot of pressure on everyone, but it’s a good chance to see how you come up against the main series. “Particularly for the drivers. That’s where they want to be so it gives them a good a gauge as well. After two Pirtek Enduro Cup campaigns with Brad Jones Racing, Macauley Jones will make his sprint debut in the team’s fourth entry. The son of team owner, Brad Jones, will sport #4 on his Holden Commodore as he tackles Winton and Hidden Valley. “For us Winton is the home track. It was a bit of a no-brainer to try to go there,” Jones told Supercars.com. “We’ve had a good few tests there in the past. “With Darwin, we have a sponsor on board for that event, DrillPro. They’ve helped me through my career which has been fantastic. “We’re not going in with too many expectations on myself. I’ll work as hard as I can with my engineer, Andrew Edwards. “It’ll be another stepping stone for us and we’ve got to approach it like we would another race meeting. Todd Hazelwood will mark his first race in the Virgin Australia Supercars Championship as well as that of his Matt Stone Racing team. The promotion from Super2 will bring one of the most famous surnames in Australian motorsport back into the main championship, with team owner Matt the son of Supercars Hall of Famer, Jimmy Stone. For Hazelwood, the sole wildcard opportunity at Queensland Raceway is the chance to press for an enduro drive. “We originally planted the idea to Supercars this time last year to do something at Ipswich,” Hazelwood told Supercars.com. “For us, it’s the local event. The team is based at Yatala which is half an hour from Queensland Raceway and we do our testing there as well. “To have that advantage to have a test day on the Super Soft tyre should give us the best possible preparation to have the opportunity to do well on our debut. “We’ve been doing well in the Dunlop Super2 Series so far this season and hopefully racing at Ipswich before the enduro season will show teams we’re more than capable not only against the co-drivers, but the main series as well. 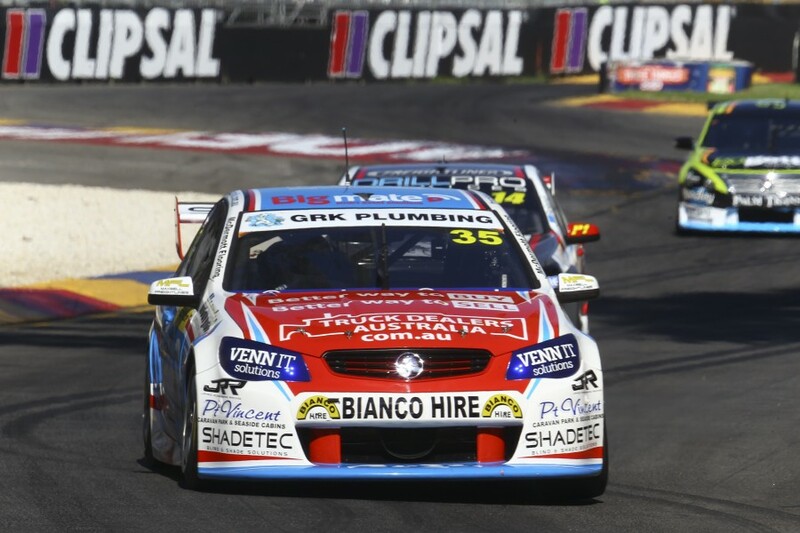 GRM’s James Golding will join the field at the Winton and Queensland Raceway SuperSprint events in addition to his Pirtek Enduro Cup drive alongside Garth Tander. The races will mark Golding’s main series sprint debut after driving alongside James Moffat in last year’s enduros. "It's going to be a massive step from racing in the Dunlop Series last year and the endurance races," Golding told Supercars.com. "It’s my first time doing long distance by myself. There’s pitstops which I haven’t done for a while too after the endurance races last years. “This is the best experience you can get before you step into the series full-time. Hopefully I can maximise the opportunity and learn as much as I can over the course of the wildcard races. “I haven’t raced a Supercar since Sydney last year. I’ve done a few miles of testing with the team, but nothing extreme. "This will be my first decent amount of laps and hopefully we can maximise it and it will help with the enduros as well." Golding's entry will sport the #31, which he previously used in karting. Reigning Dunlop Series winner Garry Jacobson had previously expressed an interest in the sprint events but did not enter a wildcard after failing to sure a budget. He will make his Pirtek Enduro Cup debut later this season alongside Prodrive team-mate, Jason Bright.